A classic treat delights at Adventureland. 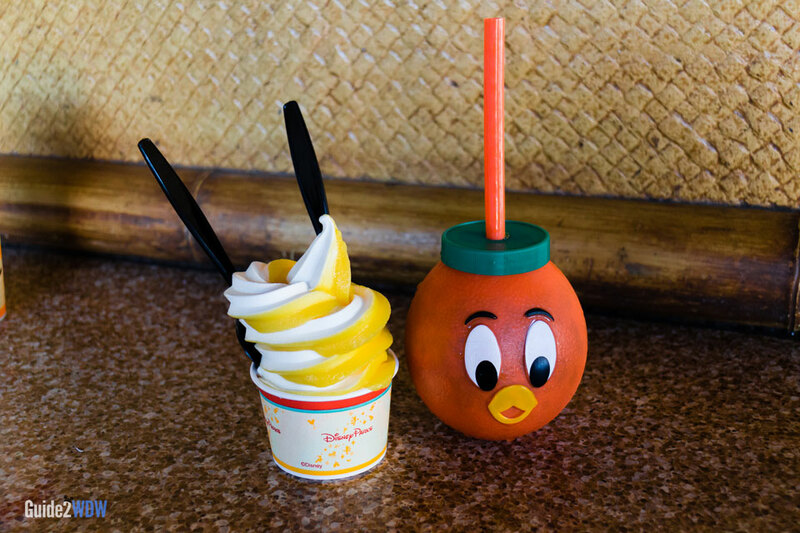 March 2012 marked the return of a classic Walt Disney World treat to the Sunshine Tree Terrace: The Citrus Swirl. This Orange/Vanilla treat features frozen orange juice swirled with vanilla soft serve. The combination makes the Citrus Swirl a refreshing treat that is reminiscent of a creamsicle. This is perfect on a hot Orlando day. During its absence, the Citrus Swirl was missed by many Disney World regulars, who are now very happy to have it back. Sunshine Tree Terrace also serves soft serve ice cream and beverages. While this dessert stand used to be adjacent to the Enchanted Tiki Room, Sunshine Tree Terrace is now located across from Swiss Family Treehouse, to the right as you enter Adventureland from the hub. Note: Menus for Disney World restaurants change on a somewhat regular basis, so the menu listed above is subject to change. For the most up to date menu, check out Disney’s official Sunshine Tree Terrace menu.